For the Tennessee politician, see Eric Stewart (politician). Eric Michael Stewart (born 20 January 1945) is an English singer-songwriter, multi-instrumentalist and record producer, best known as a founding member of the rock groups The Mindbenders with whom he played from 1963 to 1968, and likewise of 10cc from 1972 to 1995. Stewart co-owned Strawberry Studios in Stockport, England from 1968 to the early 1980s, where he recorded albums with 10cc and artists like Neil Sedaka and Paul McCartney. Stewart collaborated with McCartney extensively in the 1980s, playing on or co-writing songs for McCartney's solo albums Tug of War (1982), Pipes of Peace (1983), Give My Regards to Broad Street (1984), and Press to Play (1986). Since 1980, Stewart has released four solo studio albums. He [Jimmy Page]was doing a lot of studio work and one day I asked him if I could have a noodle on his black Les Paul. He said I could even play it on the record! And that was “Game of Love,” the first Wayne Fontana and The Mindbenders hit. Playing Jimmy’s guitar inspired me further to be experimental. I wish I had written that one! Stewart was invited to join local band Jerry Lee and the Staggerlees, which after a year changed its name to the Emperors of Rhythm. Stewart remained with the band for two years and was at the Oasis club in Manchester in early 1963 on the evening that Wayne Fontana had an audition with a record company representative. Wayne Fontana's drummer and guitarist did not turn up for the audition, and Wayne asked Eric and drummer Ric Rothwell if they would 'sit in' for the audition. After a few minutes' rehearsal, the quartet played three well known songs of the time. Wayne Fontana was offered a record deal on condition that the musicians who played at the audition formed the band. Wayne Fontana's band was called The Jets, but due to an existing band using the name, an alternative name had to be sought – it was decided that the band would take the name "The Mindbenders", which was the name of a film on release at the time – Wayne Fontana and the Mindbenders then came into being. The band initially played rhythm and blues. Stewart, Fontana and bassist Bob Lang co-wrote "Since You've Been Gone", the B-side of the band's sixth single "The Game of Love" (April 1965), which hit No.2 in the UK and No.1 in the US. Stewart and Fontana also shared the songwriting credit on "Long Time Comin'", the B-side of "It's Just a Little Bit Too Late" (June 1965). The band toured the US with Herman's Hermits in July and August 1965, producing wild scenes Stewart compared with Beatlemania. "The hotels we stayed in were under constant guard by security people and there were always girls waiting outside in the hundreds," he recalled. "They were always yanking off my glasses and pulling out tufts of hair, which was very, very painful." The Mindbenders split with Fontana in late 1965. They had a UK No. 2 hit with "A Groovy Kind of Love" in early 1966 with Stewart on vocals. They reached the top 20 later that year with "Ashes To Ashes". Stewart, who was devoting more time to songwriting, became disenchanted with the Mindbenders towards the end of its existence, realising the material they were playing was drifting further from the music for which they had gained chart success. "Because of the sort of records we'd had, everyone thought of us as a sort of ballads group, but we really weren't like that at all. I think we were probably the first of the three-piece heavy groups – but the sort of music we preferred to play was totally unacceptable to the sort of people who were prepared to book the Mindbenders", he said. The band came to an ignominious end. "There were some pretty horrid gigs", Stewart later recalled. "One night we were booked to appear at a working men's club in Cardiff and when we arrived there we found that the posters outside the club said that starring that night was some Welsh tenor 'plus support group' – which meant us. That really choked me, the fact that we'd reached the stage where they didn't even bother to put our names up on the posters." The band accepted a booking playing cabaret shows for a week, wearing white suits and red silk shirts and telling jokes between the songs. After one particularly disastrous gig the band argued and Stewart angrily declared the Mindbenders were finished. He dropped the other members off at their homes after the gig and said, "That was the end of the Mindbenders. We never saw each other again after that." According to Stewart, the flow of royalties and publishing income from his work with the Mindbenders had left him "fairly comfortable" financially. In July 1968 he was invited by former Billy J. Kramer and the Dakotas road manager Peter Tattersall to become an investor in Inner City Studios, a small recording studio located above a music shop in Stockport. Stewart, who had been recording some demos of his own songs at the studio, invested £800. He explained: "I was infected with the idea of becoming a recording engineer and building a studio where I could develop my own ideas as to what a studio should be like." The pair moved to larger premises at no. 3 Waterloo Road in October and Stewart, who helped with renovations and painting, renamed the studio in honour of his favourite Beatles song, "Strawberry Fields Forever". In December 1969 a deal was struck with US producers Jerry Kasenetz and Jeffry Katz of Super K Productions to book the studios solidly for three months to record bubblegum songs, using the talents of Gouldman, Stewart, Godley and Creme. The income from the period of intense sessions allowed the owners to buy more equipment to turn it into "a real studio". "To begin with they were interested in Graham's songwriting and when they heard that he was involved in a studio I think they thought the most economical thing for them to do would be to book his studio and then put him to work there – but they ended up recording Graham's songs and then some of Kevin and Lol's songs, and we were all working together," Stewart said. The trio of Stewart, Godley and Creme produced a song, "Neanderthal Man", which was released in June 1970 by Philips Records under the name of Hotlegs. The single became a worldwide hit, reaching No. 2 in Britain and No. 22 in the US, and was followed by an album, Thinks: School Stinks (1970), which Stewart later described as "a little ahead of its time". The trio released another single, "Umbopo", under the name of Doctor Father. The singles and album tracks were all engineered by Stewart. 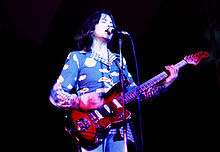 Hotlegs embarked on a British tour supporting the Moody Blues in October 1970, with Gouldman playing bass. The tour was aborted after five nights when Moody Blues bassist and singer John Lodge became ill. When no further work for Hotlegs ensued, the band members agreed the band was defunct and resumed their session work. American singer Neil Sedaka began recording his Solitaire album at Strawberry Studios in early 1972, using Stewart as recording engineer, and Gouldman, Godley and Creme as his backing band. The album's success galvanised the four musicians to work on their own material and release it as a band. They recorded a Stewart-Gouldman song, "Waterfall", and Stewart took a demo of it to the Apple Records cutting room in London, where Sedaka's album was being mastered, hoping Apple would release it. Months later Apple wrote back to reject the song, saying it lacked commercial appeal. By then they had recorded another song, Godley and Creme's "Donna", and realised the song "had something". Stewart phoned entrepreneur and producer Jonathan King, whom he had known since the Mindbenders days, and invited him to hear it. King was excited about the song, sensing a potential hit, and signed the band to his UK Records label, naming them 10cc. The song, released weeks later in August 1972, became a UK No. 2. The first of the band's albums, 10cc (1973) contained four songs co-written by Stewart with various band members. His most productive writing partnership, however, was with Gouldman: the pair wrote some of the band's biggest-selling singles – including "Wall Street Shuffle", "I'm Not in Love" and "Art for Art's Sake" – and after the departure of Godley & Creme in 1976, Stewart and Gouldman settled into a strong songwriting partnership that lasted for the next six albums, though Stewart and Gouldman took a break from 10cc between 1984 and 1991. By Mirror Mirror (1995) the team had dissolved as tensions between the pair grew. The album was an amalgam of solo material by Gouldman and Stewart, written and recorded separately, and was the final one for 10cc. After the tour for the album was done, Stewart announced he was officially done with 10cc, and has refused any offers and requests for a reunion. It was George Martin, we were at dinner, at an awards dinner, and George says to me, he said ‘Eric, why don’t you produce Paul’s next album?’, and I said ‘What? What?’, in shock, you know, get my heart pills. I said ‘Why, are you not doing it?’ He said ‘No, no, I think he needs some new blood in the tracks’, or on the tracks, as I put it. I said ‘Really?’ I said ‘Thank you for asking me’. Stewart produced two solo albums sandwiched between 10cc's 1980s output – Girls (1980) and Frooty Rooties (1982) – and a third solo album, Do Not Bend, in 2003. Since 1975, he has also engineered and/or produced albums by Justin Hayward and John Lodge (Blue Jays, 1975), Neil Sedaka (Sedaka's Back, 1975), Sad Café (Sad Cafe, 1980, Facades, 1979) and Agnetha Fältskog (Eyes of a Woman, 1985). He worked as co-writer on more than half of Paul McCartney's Press to Play, though he would later criticise the production of the album. "I love the big love ballad on Freudiana and I loved doing Blue Blue Sky. 'On Air' is my favourite album." In 2000s Eric Stewart returned to recording solo albums with Do Not Bend (2003), while his fourth solo album, Viva la Difference, was originally planned to come out in 2007, but in January 2007 it was announced that recording would continue sporadically while Stewart carried out renovations on his home and construction of a studio in France. His online store was subsequently closed, with an announcement made that the album would be released in January 2009, which duly came about. Stewart described the album as "more 10cc in style than Do Not Bend". ^ "A Groovy Kind of Interview With Eric Stewart". Culture Sonar. 3 December 2018. Retrieved 5 December 2018. ^ "Wayne Fontana dht emIndbenders discography at 10cc fan website". Tencc.fan-site.net. Retrieved 29 September 2014. ^ a b c d e f g h George Tremlett (1976). The 10cc Story. Futura. ISBN 0-86007-378-5. ^ "Eric Stewart interview with StudioAuditions.com". Studioauditions.com. Retrieved 29 September 2014. ^ "Message from Eric Stewart at 10cc fan website, 12 December 2007". The10ccfanclub.com. Retrieved 29 September 2014.